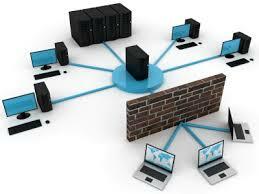 On the other hand, hardware-based firewall solutions for small business protect all computers on your network. A hardware-based firewall is easier to administer, too. Support for changing business needs. The best firewall solutions for small business let you safely deploy new applications. They provide advanced application-layer security for a wide range of applications, including email, voice over IP (VoIP), video, and multimedia programs. Controlled access to your company's resources. The most effective firewall solutions for small business block unauthorized access to applications or information assets. Increased employee productivity. By blocking unauthorized access from hackers, your firewall helps prevent the loss of employee productivity or valuable company data. Improved business resiliency. The best firewalls prevent disruption of business-critical applications and services due to security breaches.